Do not hype yuan fluctuation: MOC - video door phones,intercom system,video door phone,modules.CCTV. BEIJING - China's commerce ministry spokesman said on Tuesday that people should not hype the recent downward movement in the value of the Renminbi, or the yuan, against the US dollar. In response to a question about whether the yuan's recent depreciation is a result of government intervention, Shen Danyang said, "We should look at this with a more rational attitude rather than reading too much into it." The yuan's value came under the spotlight as its exchange rate against the US dollar declined 0.4 percent in the first two months this year, a period in which the country also saw a shrinking trade surplus. 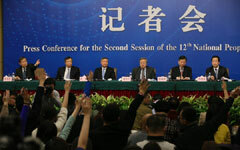 "People should put the yuan's recent depreciation in the wider context of China's reform of its currency's exchange rate formation mechanism," Shen added at a press conference held in the ministry. 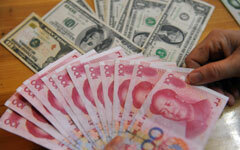 China's central bank widened the yuan's daily trading band from 1 percent to 2 percent on Monday. 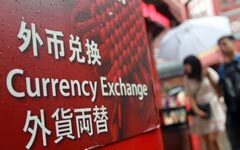 The move aims to enhance the floating flexibility of the renminbi exchange rate, make capital allocation more efficient, facilitate economic restructuring and beef up the decisive role of market in allocating resources, the People's Bank of China said in a Saturday statement.